The smart move for every Android smartphone owner is to set up lock screen security on your device so that others can’t access it. You can choose a pattern, password, or PIN. Many devices also now sport fingerprint scanners, which you’ll use most of the time, but even those will prompt you for your backup PIN or password from time to time, such as after a restart or when you try to change security settings. If you’ve ever had one of those moments where you realize that you’ve forgotten your password, pattern, or PIN, then you’re certainly not alone. Being locked out of your device is horrible, but there is a way to regain access. If you forgot your Android password, PIN, or pattern, read on to find out what you can do. Visit the Find My Device site on your computer, laptop, or another device and log in with your Google account. It will probably default to your current phone, but if you have multiple devices registered, you can select the correct device by clicking its icon and name in the upper-left corner of the page. Click the Erase device option on the left. You’ll likely be prompted to enter your Google account details again. Once the device is wiped you can set it up afresh with a new PIN (make sure you remember it this time). Visit the Find My Mobile website on your computer, laptop, or another device and log in with your Samsung account. Your current device and phone number should be displayed in the upper-left corner of the page. Peruse the options on the right side of the page and click Unlock my device. You can then unlock your phone remotely by entering your password for your Samsung account. The unlock process is much simpler when you forget your password, pattern, or PIN on an older Android device. After entering the wrong PIN five times, you’ll see a prompt under the login window that says Forgot pattern, Forgot PIN, or Forgot password. Tap that, and enter your username and the password for your Google account to change your password, PIN, or pattern. This will give you immediate access. Can’t remember your Google account? If you’re having trouble remembering your Google account details, then visit the Google Account Recovery website on your computer or laptop and work through the provided steps. Your last resort is to perform a factory reset through the recovery mode menu, but this will erase everything that’s on the phone. 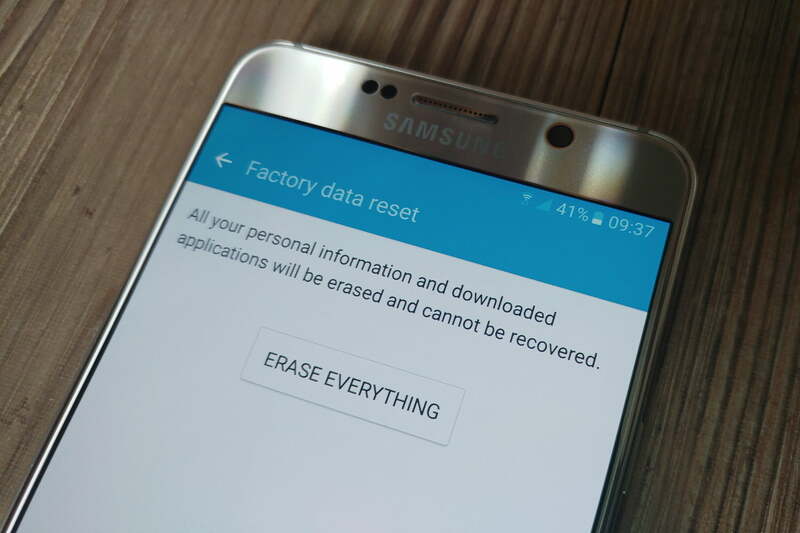 Also, keep in mind that your phone may have Factory Reset Protection (FRP). It’s turned on by default in every Android 5.1 device (and later) to deter thieves from stealing your phone. If FRP is on, then it’s going to ask for your Google account details even after you perform a factory reset. If you do want to try a factory reset, however, then check out our guide on how to use recovery mode. Once reset, you’ll have to set up your phone as if it were new. Also, make sure that you take note of your password or PIN this time.